The Philippines has the highest breast cancer incident rate in Asia and the disease is still among the leading cause of cancer among women. Medical experts stress that breast cancer is a preventable and curable disease and it worth nothing that the number of cancer survivors is steadily increasing. This can be attributed to advanced treatments that are becoming accessible to many people across the globe, as well as better awareness about the disease, and the practice of regular screening that helps detect cancer at an earlier and therefore, more curable stage. Asian Breast Center at Centuria Medical Makati offers not only innovative breast cancer therapies but also consultation and various to prevent breast cancer. ''Early detection saves life. I found out that the treatment for breast cancer here in the Philippines, mostly taking out the whole breast. In the United States, it is the opposite. 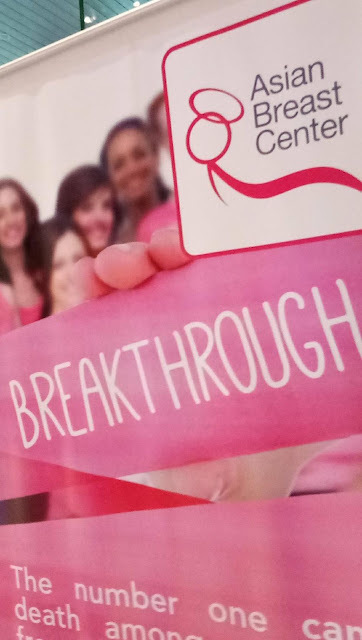 About 90% of the treatment entails preserving the breast through breast conserving therapy,'' said Dr. San Agustin, President and CEO of Asia Breast Center. In breast conserving therapy, specialist radiates the breast where the cancer is. The patient will receive a total of 33 treatments that will be given once for five days. This normally takes six and a half weeks. A booster may be given to the patient after the treatment. ''A lot of surgeons are recommending thorough mastectomy. This may have been influenced by the false notion that the more you take out (the breast), the more likely its cured. That's not the truth. In a cellular biology, there are a lot of factors to consider why a cancer cell grows back and which area it will likely grow in or why it does not grow at all. There have been several cases showing that taking out the entire breast does not guarantee that the cancer will not grow back in or near the area,'' Dr. San Agustin shares. Asian Breast Center will also offer the latest breast cancer therapy for early stages. One of these is the Intraoperative Radiation Therapy, an advanced breast treatment for stage 0 to 1. Unlike other radiation therapies that radiates the whole breast, IORT targets mainly the specific area where the cancer is. ''What we do is, we put the patient to sleep. We put this device to the cavity. We radiate it. And then wait for 30 minutes. After taking out the device, we can send the patient home and she can perform her daily tasks. It's easy and fast as that. And it's very effective and cost-efficient,'' he said.
'' One out of eight women in the US develop breast cancer while here in the Philippines, It's one out of four. in the US, only 10% die from breast cancer while 50% dies of the disease in our country. Hundred percent of them gets treated in the US while 70% dies without treatment here,'' said Dr. San Agustin. While advanced treatments are available in many countries, there are still a lot of cancer patients in the Philippines who don't have an access to it. When you couple this with the misconceptions toward the disease, many opt to just have their entire breasts removed feeling that they have no other option at all. 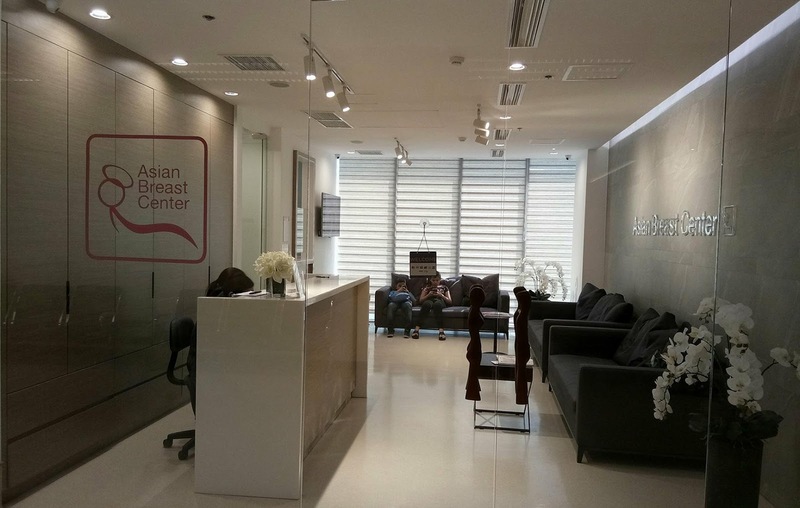 This has prompted dr. San Agustin to set up Asian Breast Center at Centuria Medical Makati, where facilities are at par with the best in the world. The soon-to-open Asian Breast Center will be the country's first freestanding ambulatory cancer care unit for profit-for-charity, dedicated to the comprehensive treatment and management of breast diseases. ''The doctors at tis center are established names who work for top hospitals in the United States, and like me, they believe in giving more options to people suffering from this illness,'' he adds. Dr. Norman San Agustin, himself is a fellow of the American College of Surgeons, and founder and presidents of Morristown Surgical Associates, one of the top medical institutions in the United States. ''If I put up a clinic here and it's for charity, how many patients will I get to see in a day, in a month, in a year? Surely, a lot. What we develop here in Asian Breast Cancer is a different form of Profit-for- Charity. All the money that we will make--the profit--will go to a foundation that supports awareness and advance breast cancer treatments,'' he shares. ''Our vision is to help everybody, not just the poor. We provide the same care and treatment to everyone--no matter who they are or what country the came from. We have very good physicians in the Philippines but we lack the place that provides cutting-edge technology and facilities. And that's what we provide here. There are several types of breast cancer. Among the common types are ductal carcinoma in situ. the most common type of noninvasive breast cancer, where cancer has not spread yet and usually has a very high cure rate; the invasive lobular carcinoma, which starts in the glands of the breast that produce milk and the inflammatory breast cancer, which makes the skin of the breast appear red and feel warm (giving it the appearance of an infection). It is not exactly known how one gets breast cancer. However, there are risk factors that should be considered. These Include: age (the chances of breast cancer increase as you get older); family history; personal history (if you have been diagnosed with breast cancer before or certain benign breast conditions); menstruation(women who started their menstrual cycle at a younger age (before 12 yrs. old) or went through menopause after 55 yrs. old; having dense breast tissue, as documented in a mammogram; having no child or having the first child after 30 yrs. old being overweight; using oral contraceptives for the past 10 years; and using combined hormone therapy after menopause. 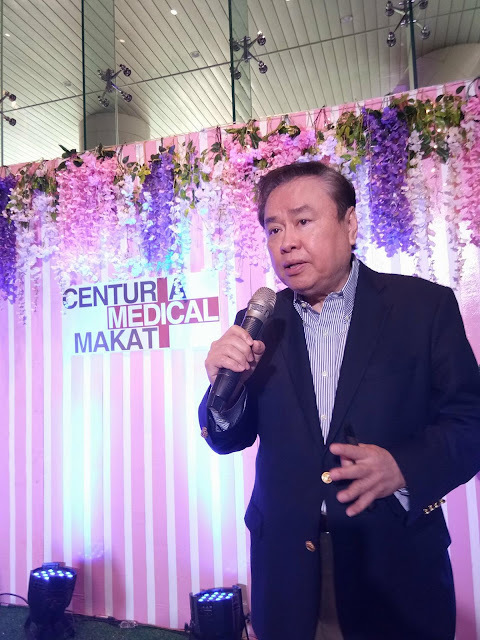 Asian Breast Center will soon open its door at the Centuria Medical Makati, a one-step, outpatient medical-IT facility at Century City in Makati. Centuria will house more than 700 clinics. I t provides an efficient clinics environment for doctors and an equally hassles-free patient-centered services to all its guests and patients.